Last week I took a few days off because I had some scheduled doctors appointments and Cardin was also been evaluated for continued speech therapy services. 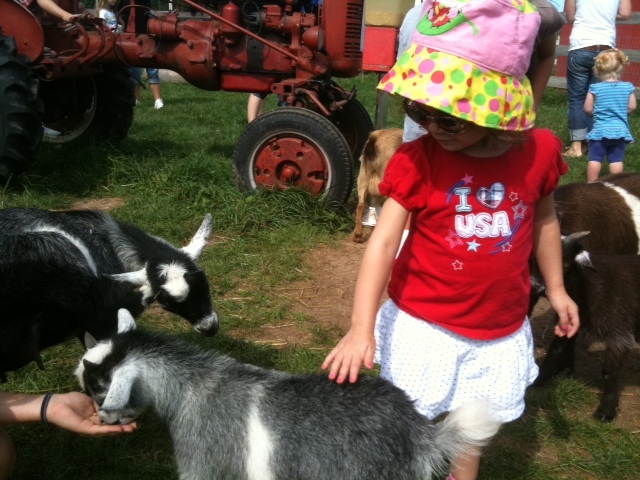 With one of our free afternoons I decided to take her on a little adventure to Springdale Farm. She has visited the farm before but since they are only open during the weekday I’ve never had the opportunity to take her. Listen Lady, she schooled me on the in’s and out’s of this farm. 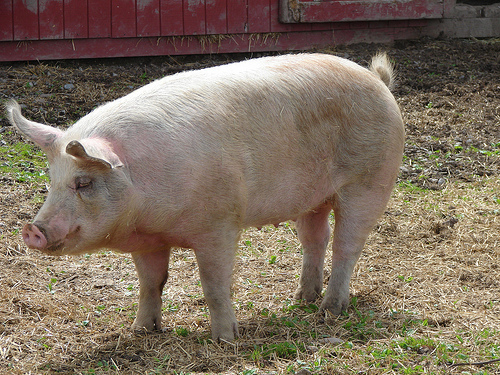 One of the first animals that is visible when walking up to the farm is a giant male pig. 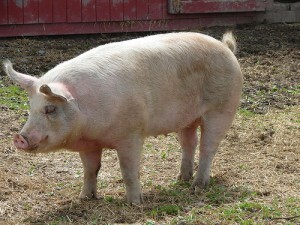 The thing is huge and he has fathered an obscene number of baby piglets. Man needs a vasectomy like no other. 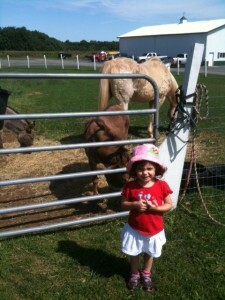 There is one full size horse, a couple of miniature ponies, and two donkeys on the farm. I was going to teach her the correct terminology for donkey, but I figured she’d repeat it at some inappropriate time so I refrained. 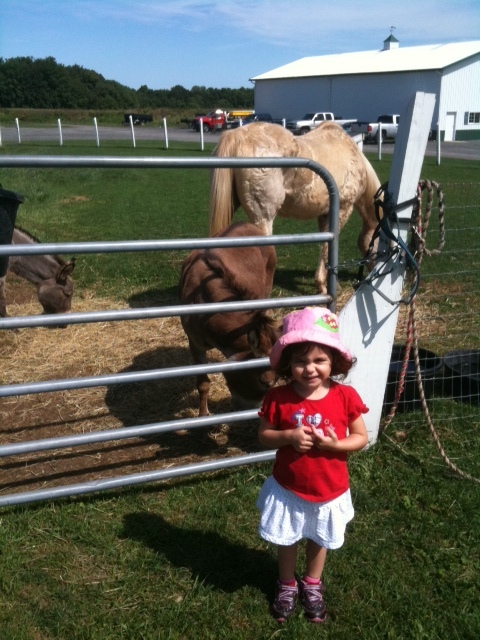 Since Cardin has no fear and will basically stick her face through the fence, my mom had to tell her to stay back as the horses will bite; this single thought has remained with her since then. 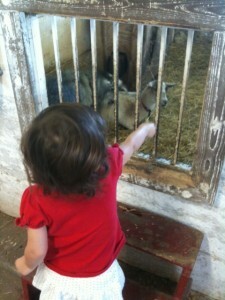 Besides pointing out the poop, her favorite thing to do is feed the goats. She loves to hold straw out and have them chomp away on it. She will happily shove it into their faces even if they don’t want it. She obviously has the Italian genes. Overall it was a great trip to the farm. I can tell you with certainty lady that it seals the fact that I hate nature as my allergies were killing me the remainder of the day.